Delaware Beach Life has been named “2013 Business of the Year” by the Rehoboth Beach-Dewey Beach Chamber of Commerce. In 2009 it was named “Magazine of the Year” by the trade group, International Regional Magazine Association (called “international” because it includes member magazines in both the U.S. and Canada. Delaware Beach Life has won more than 50 awards since 2002 for writing, editing, photography and design. Jan: Thank you for taking the time from your busy schedule to talk about your work. Tell us about your magazine Delaware Beach Life. What led you to decide to publish a regional magazine? Terry: Coastal Delaware has long had good weekly newspapers that document local life, but no glossy magazine that focused on the unique qualities of year-round life in the coastal area. The statewide magazine, based in the metro/suburban areas way upstate, seemed to see coastal Delaware as a summer destination, so it focused mainly on that view. As a longtime resident, I felt that coastal Delaware had its own robust, dynamic, year-round community that could support “a magazine to call its own” as one reader said. Jan: How did your years of prior experience as a newspaper editor help you as you’ve founded and developed your magazine over time? Terry: The main benefit was the on-the-job training I got in Quark Xpress, Photoshop and other software. Those technical skills were key to being able to create a new publication anywhere that I could place a computer, allowing me to launch the magazine out of my home, with little overhead. Also, even though I had many connections throughout the community from having lived here since 1978, the connections I made through my newspaper editor position probably lent credibility to my new venture. Jan: What are you looking for in the articles you select for publication? In other words – what kind of topics, lengths, focus? Terry: Delaware Beach Life publishes mainly nonfiction features and profiles, and occasional commentaries, short fiction and poetry. Topics include local history, environmental issues, interesting people, the arts and political controversies. Feature lengths range from about 1,500 to 3,000 words, and departments run about 1,200 to 1,400. We also publish a popular Beach Briefs section with a mix of short pieces. The focus must be COASTAL DELAWARE. Even when I put that in all caps to writers, I still get queries that are not focused on our area. Not being focused on coastal Delaware is the main reason for rejection of a proposed topic. Another common problem is proposing a topic we’ve already written about in recent years. Jan: What tips can you offer to writers when they query you about a story or feature? Terry: Make sure your proposal is focused on coastal Delaware! Read back issues to get a sense of what we’ve published before, and make sure the topic and quality of writing fits in with that, but doesn’t repeat what we’ve done in recent years. We don’t do “advertorial” or stories about single businesses (although we do write about business topics in general). 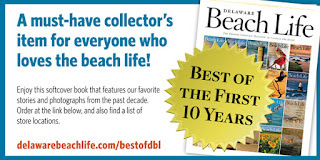 Local libraries have back issues, and digital versions are online at delawarebeachlife.com. I can email writer’s guidelines to anyone requests them at info@delawarebeachlife.com. Jan: What is the average turnaround time for an article, that is from the time a writer sends you an interesting query until the article actually appears in an issue? Terry: Could be two to six months or more. Jan: What is the range of pay that you provide to writers for an article? Terry: Departments are generally $100 to $200, main features $500 or more, depending on length and complexity. The more editing required, the less money that’s available for the writer’s fee — so clean, complete submissions earn more. Jan: As a managing editor for Thomson Newspapers, you guided a number of special publication projects from concept to final printing. What parts of the publication process are your favorites and why? Terry: And in 2012, I guided a 10-year anniversary project for Delaware Beach Life, the “Best of the First 10 Years” special 120-page edition. I enjoy the entire creative process from concept through content through page design and creation. Probably my favorite part is seeing a project completed! Jan: Your work as a photojournalist – especially work you’ve done that focuses on the natural beauty of the Delmarva Peninsula – seems to be a true passion. How do you discover and capture the perfect shots to tell a larger story? Terry: We are fortunate here on Delmarva to have so much natural beauty all around us. Being in the right place at the right time helps to create the “luck” that seems to happen when you capture a great image. Look at the stellar work by National Geographic veteran Kevin Fleming, who shoots most of Delaware Beach Life’s cover images. He goes where few others go and at pre-dawn hours when other photographers are still in bed. So he creates the “luck” that seems to produce award-winning images — but it’s not really luck, it’s consistent effort. Jan: You write articles from time-to-time for your magazine. What kind of story fires your own passion and imagination? 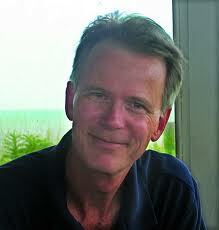 Terry: I love creative nonfiction that reveals the extraordinary in the ordinary. We are surrounded by fascinating people and topics all the time, but it’s a challenge to reveal the interesting details. For example, I wrote a story called “The Mystery of Migration” that looked at how geese and ducks and other wildlife navigate over thousands of miles. We see them flying over us all the time, but rarely stop to ponder how they find their way over such great distances. Jan: You’ve written a lot about ways to help save the bay and coastal waterways of our Delmarva region. Can you offer four or five things ordinary citizens could do that would help immediately to protect and sustain our coastal regions? Terry: As a matter of fact, Delaware Beach Life will be publishing a piece in every issue this year on the topic of climate change and how it affects our coastal region and what people can do about it — so look for that. We will also have stories about a topic we regularly cover: the inland bays. Citizens can do things small and large, from being aware of chemicals that run off their lawns and driveways to paying more attention to land-use issues. Land-use politics seem boring to most people until the effects of political decisions start to change the environment around them — but by then it can be too late. Jan: At a Bay-to-Ocean conference as I was leaving a presentation that you gave with several other publishers, I heard someone say, “Nobody knows ‘local’ better than Terry Plowman; he knows the Delaware coastal region and its issues better than most politicians.” What do you say to that? Ever considered entering political life? Terry: Ha, ha, no, I wouldn’t make a good politician because I’m not that outgoing. As for “knowing local,” I think if you live in a place for 35 years and are interested in what’s going on around you, you’re bound to absorb a lot of information over the years. Because I truly love coastal Delaware, and am naturally very curious, I’m still trying to learn about it all the time. Jan: Thank you for the interview. Congratulations on your many awards. Your magazine is interesting and your photography is dazzling. Go online for subscription or submissions guidelines. This entry was posted by Jan Bowman on Tuesday, January 22, 2013.